The conventional wisdom in Delhi is that recent border clashes with Pakistan over Kashmir will help Narendra Modi win the landmark elections. If patriotic fervour benefits incumbent leaders, the prime minister is certainly well placed. A staunch Hindu nationalist, he has turned increasingly hawkish on Pakistan, and projected himself as a tough leader while centralising power in Delhi, managing the economy with a heavy personal touch and cowing much of the national press. But Indian elections are never about one dominant figure, regional leaders are always among the most important players. The country’s endless diversity limits the extent of any nationalist movement. Anti-Pakistan feeling currently runs much stronger in northern states close to the border than in the rest of India. 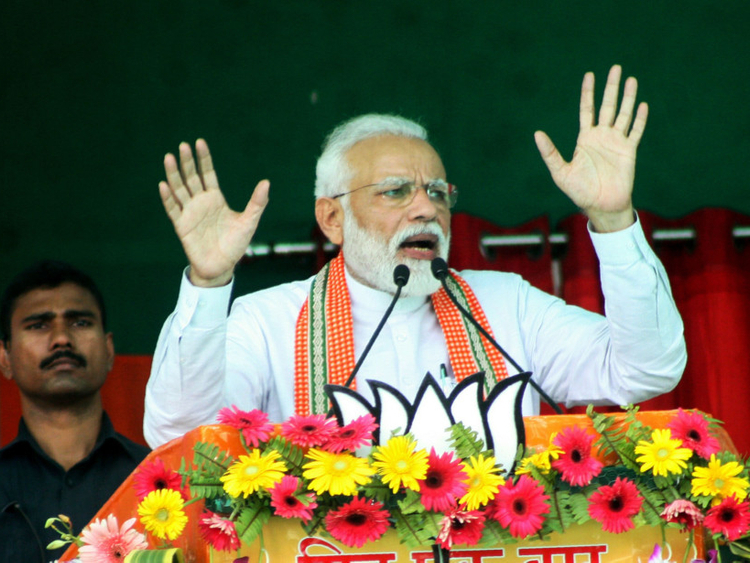 In states as different as Maharashtra in the west and Karnataka in the south, I have seen Modi struggle to connect with audiences because his Hindi oratory was lost in translation. He is a master of rhetorical tricks such as the call and response, but at a recent election rally that I attended in Karnataka his calls got a muted response, since many in the crowd didn’t seem to understand. Though Hindi passes for the national tongue, only around 40 per cent of Indians speak it. These barriers are poorly understood by outsiders. India’s political system magnifies its diversity. The written constitution delegates explicit and wide powers to the state assemblies, including significant authority over finances, law and order, transport, health care and other critical government functions. So Modi has to deal with 29 state chief ministers, including seven who run states of more than 68 million people. Though Modi is often cast as a popular strongman, no Indian leader has ever won more seats with a smaller share of the vote. Most seats won by the BJP in 2014 came in northern “cow belt” states, where Modi’s brand of Hinducentric nationalism plays well. Even in the north, his victory had less to do with overwhelming popularity than with the opposition, which was mobilising not against him but against the other major national party, the Indian National Congress, which then held power. This time is different. Led by Rahul Gandhi, a scion of its founding family, Congress is trying to form alliances with regional parties to stop Modi. A more decisive force in this contest is the regional party leaders, who include chief ministers Mamata Banerjee of West Bengal, Nara Chandrababu Naidu of Andhra Pradesh and Naveen Patnaik in Orissa. Unlike Modi, they are not well known outside India but they are at least as powerful, or more so, in their home states, and some see themselves as future premiers. Even bitter rivals are uniting against Modi. In Uttar Pradesh, the most populous state, with 200 million people, and thus the most important political battleground, the former chief minister Akhilesh Yadav has forged an alliance with another former chief minister, Mayawati, a popular leader of the Dalits — once referred to as “untouchables”. Mayawati for decades blasted Yadav’s party as a “criminal enterprise” run by “goons” who oppressed the Dalits. But all that is forgotten now, as Yadav and Mayawati work together to stop Modi in a classically Indian alliance of former enemies. Ever since Indira Gandhi imposed emergency rule in the 1970s, and fell in the backlash, no prime minister has been able to gain political momentum without inspiring the fragmented opposition to unite. Indira, her son Rajiv and the first BJP prime minister, Atal Bihari Vajpayee, were all undone by alliances of previously squabbling opponents. When Indian politicians are on a roll, they often lead their parties into election battles without allies, but the brash prime minister has no grounds for overconfidence today. Modi can’t count just on patriotic fervour over Kashmir to win him a second term; he is having to play the game and agree to electoral deals with regional allies. For all his international reputation as India’s strongman, Modi knows it takes more than one dominant figure to rule India. Ruchir Sharma is the author of Democracy on the Road: A 25-Year Journey Through India.